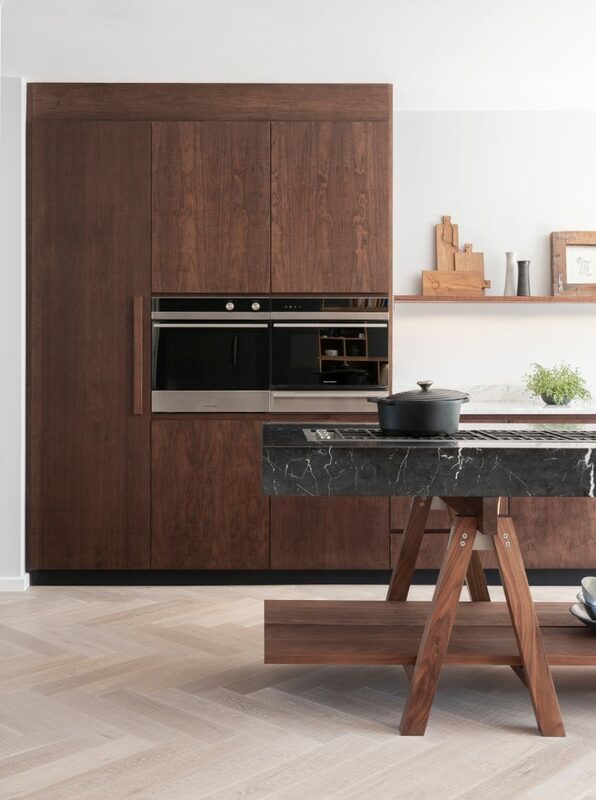 A very popular trend that we’ve been seeing recently is to incorporate some form of walnut timber into kitchen designs. Dark, rich and intense, walnut is such a beautiful material to use in the kitchen. When designing a kitchen for your busy family life, we know there are certain things to include in your design that will make your life so much easier. Having a lot of people in your kitchen can be incredibly stressful especially when they’re only young and need a an extra eye on them! We’ve come up with a handy list of everything we think you could include in your kitchen design to help keep chaos at bay. 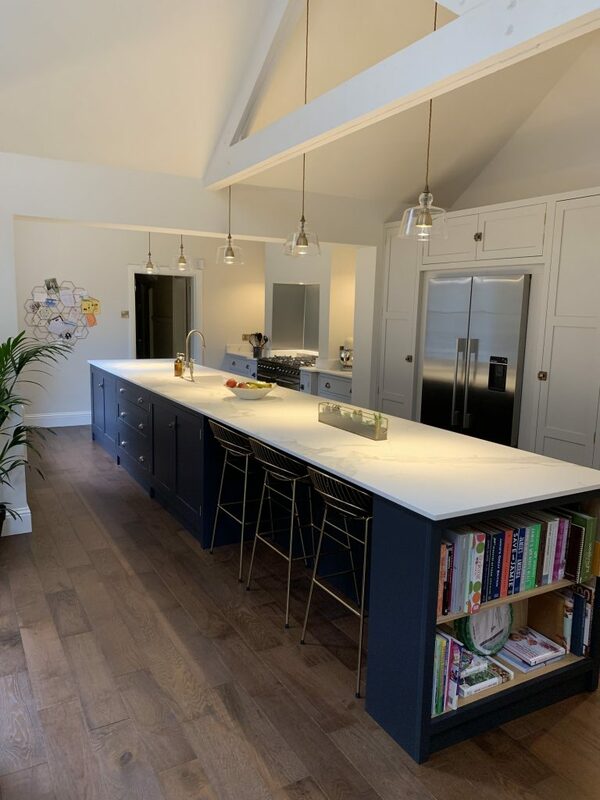 When purchasing a new kitchen, there are so many different things to think about and lots of questions that need answering, but one element that we are asked about more than any other is our design service. There are many elements to our design service and a few different things that we need from you, so we thought we would make a guide just to answer any queries you may have before choosing this service. 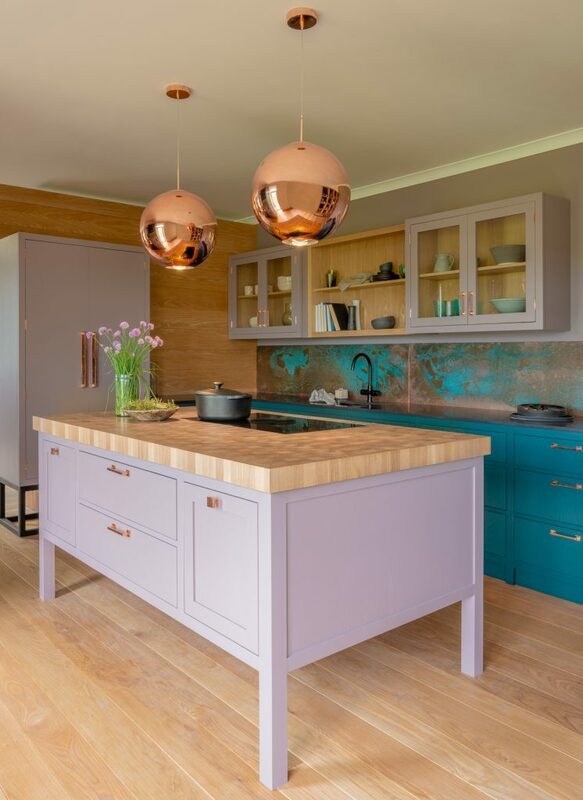 We go through stages of loving different colours for the kitchen, and whilst some colours tend to come in and out of fashion very quickly, there are some colours that will stick around from season to season. We wanted to show our appreciation to a colour that we know will always look good in a kitchen. 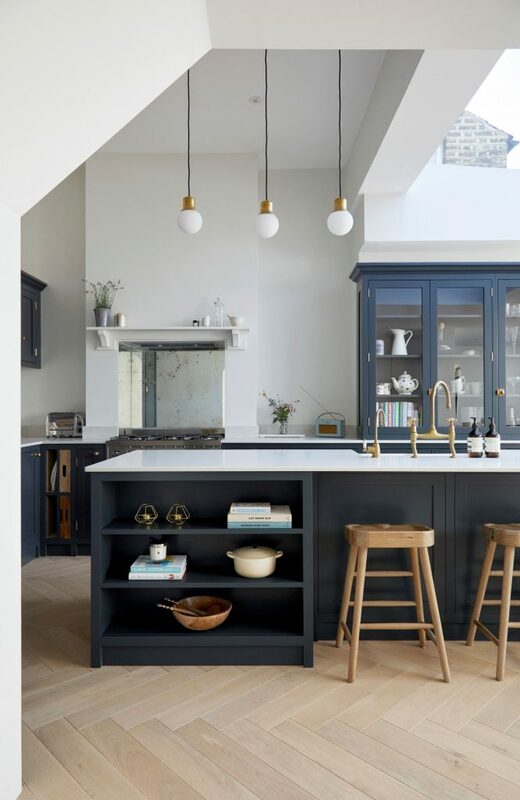 Blue is a colour that will never go out of fashion for kitchens, and at the moment it’s definitely taking the colour crown! Traditional shaker kitchens is something we have always been famous for here at Naked Kitchens. It’s what we started our design journey with, and whilst we have created some incredible designs that are more contemporary and unique, we’ve never forgotten about the ever-beautiful, classic shaker. We’ve been lucky enough to have had another set of client photos recently sent in of their recently finished kitchen. A beautifully simple and elegant design that is perfect for this busy family and their lifestyle. 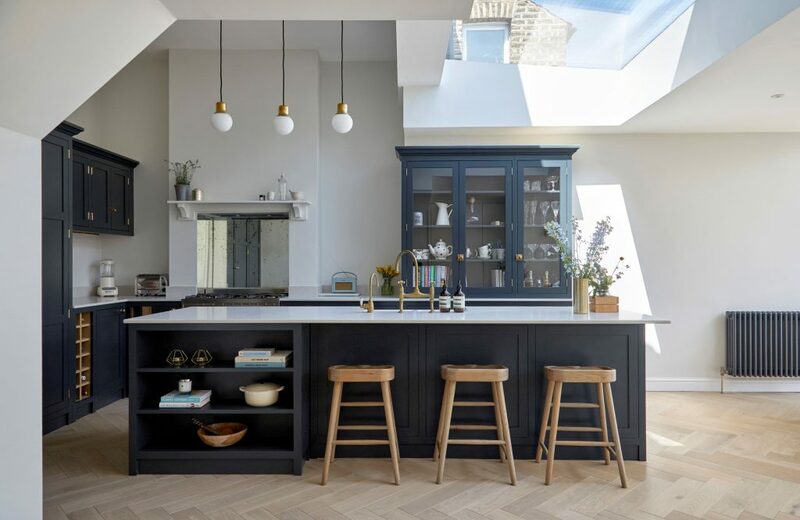 We’ve had a lot of exciting projects happen here at Naked Kitchens, and one that seems to have gained a lot of attention recently is the Highgate Kitchen. An absolutely incredible design, made from beautiful stained walnut with some insane bespoke details. A brand new handle design which is sleek and contemporary, and an island design that simply knocks all other islands out of the water! 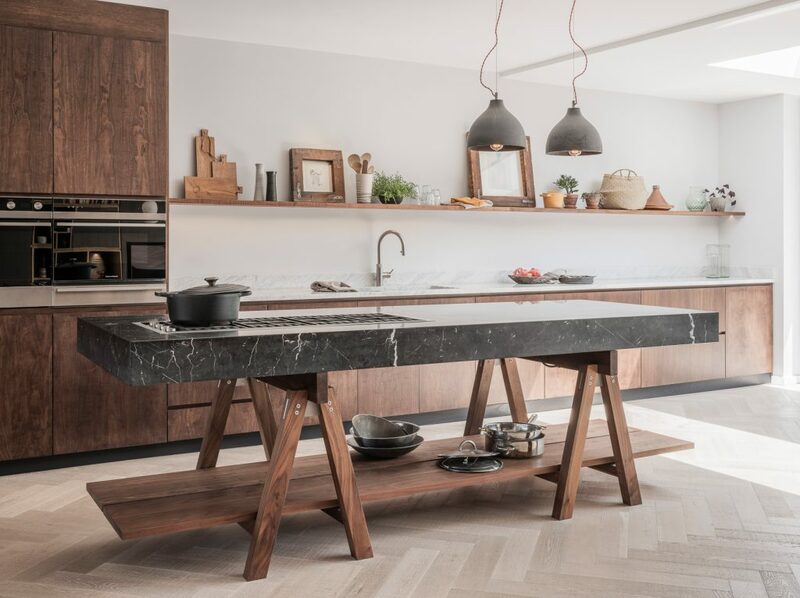 With walnut legs, an integrated gas hob and a beautiful marble counter top, this island is one of the standout elements of this modern earthy kitchen. The lighting that you choose for your kitchen can make or break a room very very quickly. It is important to ensure that you have the right level of lighting in the room so that you can easily complete tasks as well as being able to fully relax in your kitchen. 2018 has been a year of many different trends for interiors. 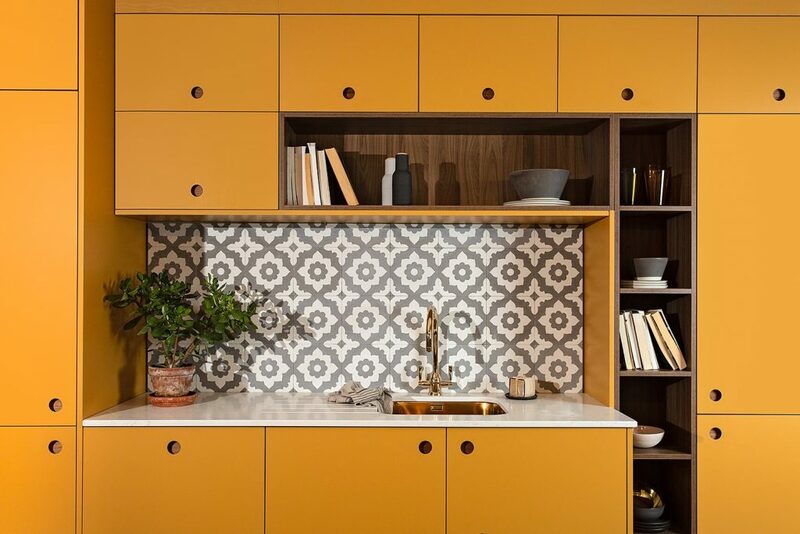 We’ve seen colours dramatically change direction, different textures come into play and timber really taking the centre stage in kitchens, and a lot of these trends are likely to continue into 2019. We think there are a lot of new trends that will emerge in 2019 and we can’t wait to see them! Year of the Honey- 2018 saw Dulux announce their colour of the year as Spiced Honey. Although slightly slow on the uptake this year, we do think that 2019 will be the year that we see this colour everywhere. 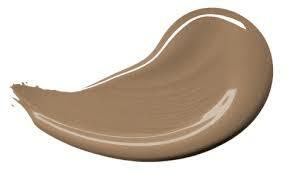 Beautifully warm and comforting, this neutral colour is the perfect canvas for a kitchen. We also think that combining this colour with a brighter pop of colour, like Pantone’s Living Coral (colour of the year 2019) will create the most wonderful combination. It’s been a pretty busy year here at Naked Kitchens. We’ve created so many beautiful kitchens for our customers, doubled the size of our showroom, took on projects we could only dream about and designed kitchens that completely broke the boundaries of traditional kitchen design.